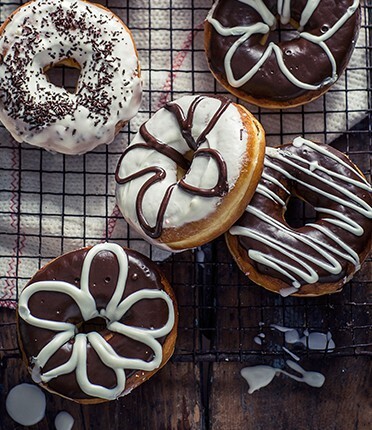 Satisfy your sweet tooth with our wide range of delicious doughnuts. Baked fresh on-site daily and sprinkled with a dazzling array of toppings that will make your taste buds jump for joy. Get to your nearest Corner Bakery for your sugar fix. Corner Bakery to family and friends? How often do you eat at Corner Bakery? What makes Corner Bakery Pies the best? Thank you for taking the time to fill out our survey!